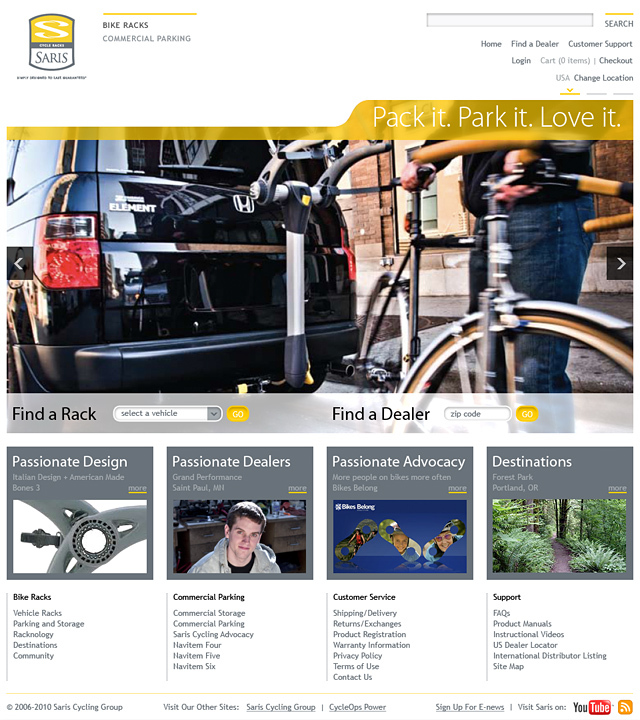 Saris Cycling Group - BrainstormOverload - Small design studio. Big ideas. 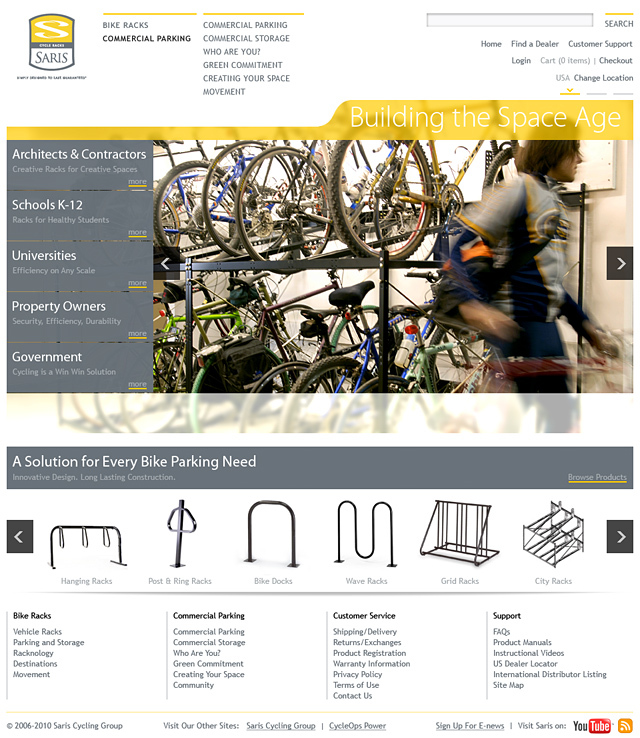 Our design for Saris Cycling Group accommodates cyclists looking for a personal rack as well as architects and property owners looking for large scale storage solutions. It provides each audience the detailed information and e-commerce capabilities needed to make an informed purchase. The design is intended to be clean and functionally elegant like Saris racks. It also features flexible modules where Saris can showcase the passion and support they bring to recreational and competitive cycling. 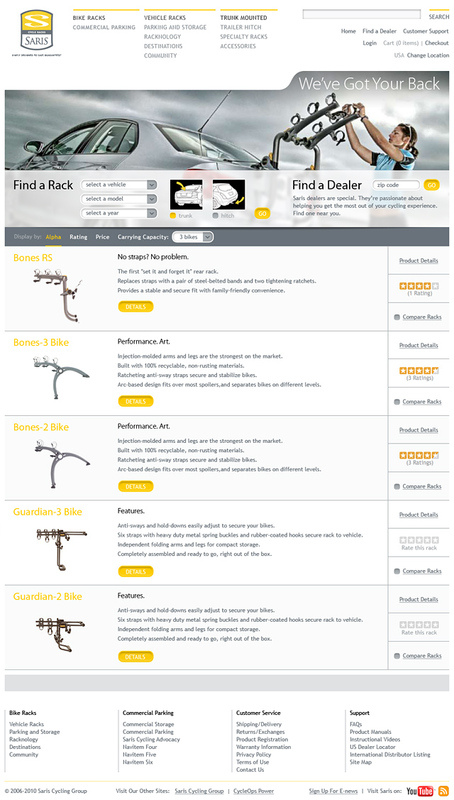 Product category page. 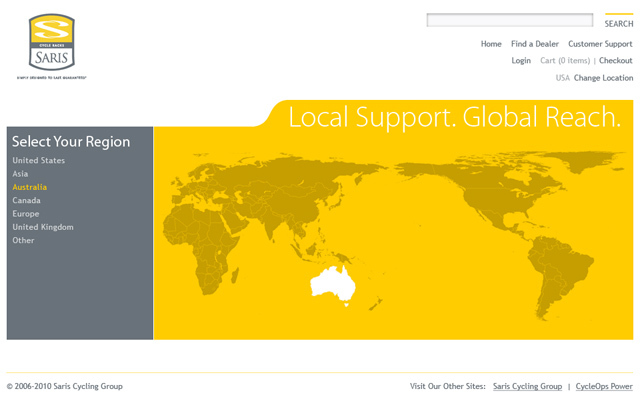 Navigation builds out as the user progresses through the site. The commercial side gets the same attention to detail.